Ageless Aesthetics MediSpa is the first in the Ashland, Huntington, Portsmouth area to offer the new Ultherapy® procedure for lifting and toning loose, lax skin—without surgery! We use ultrasound to strengthen your skin from the inside out, in a completely non-invasive way. 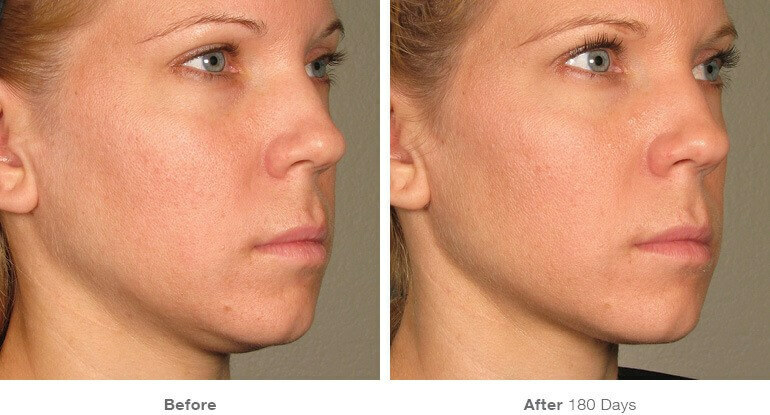 This is the only FDA-approved procedure to lift skin on these hard-to-treat areas, Ultherapy® uses the safe, time-tested energy of ultrasound to stimulate the deep structural support layers of the skin—including those typically addressed in a surgical facelift—without disturbing the surface of the skin. After just one Ultherapy® treatment, with no downtime, your skin will begin to reflect a more refreshed, uplifting appearance. Ultherapy® is a Micro-Focused Ultrasound (MFU) Technology that provides non-invasive facial tissue lifting with consistent, natural results. The Ultherapy® system is the first and only FDA indication for non-invasive LIFTING! It uses the Micro-Focused Ultrasound to bypass the skins surface, and deliver energy deep into the structural layers of the tissue. MFU is the only modality that reaches the optimal temperature for the creation and stimulation of new collagen within our skin. This devise allows us to precisely target multiple tissue layers, which results in clinically proven tissue lifting. Patients may enjoy some initial effect but the ultimate lifting and toning will take place over 2-3 months, as tired collagen is replaced with new, more elastic collagen. As this collagen-building process continues, further improvements can appear up to 6 months following a procedure. These results include lifting and tightening of the skin on the neck, under the chin, along the jawline, and on the brow. While ultrasound does not duplicate the results of surgery, Ultherapy® has proven to be an inviting alternative for those who are not yet ready for surgery. What Happens Before Ultherapy® Treatment? No preparation is required before your Ultherapy® procedure. We recommend that for comfort you take over the counter pain relievers or prescription medication prior to your procedure. There is always a chance of bruising, so we ask you to stop all precautionary medications which can thin your blood for instance vitamins, fish oil, ibuprofen, and some herbals. What Happens Post Ultherapy® Treatment? You are able to return to your normal activities right away, and there are no special measures you need to take. Your skin may appear flushed immediately after the ultrasound treatment, but any redness should disappear within a few hours. It is not uncommon to experience slight swelling for a few days. The most common is a tingling or tenderness to the touch, temporary small areas of bruising or numbness for a few weeks following the procedure, but these are mild and temporary. Patients typically leave comfortable and excited about the results they are experiencing at time of procedure and the many benefits to come.